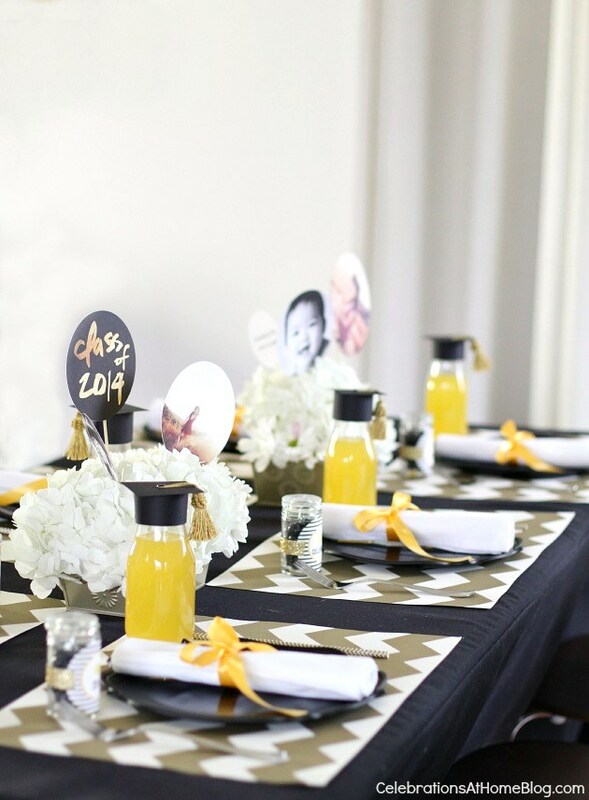 See how stylist, Chris from CelebrationsAtHomeBlog.com, used Pear Tree Greetings’ graduation products to create these classic graduation party ideas! Graduation season is just about 6 weeks away for college, and a couple of months for high school, so it’s time to start planning! 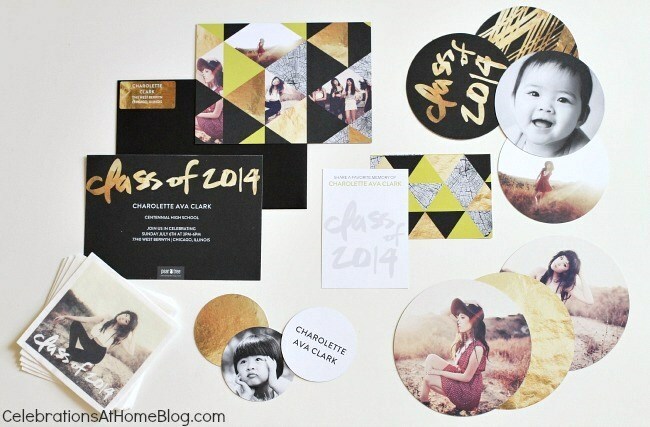 I’m excited to share this styling project that I worked on for Pear Tree Greetings in order to showcase ideas inspired by their faux foil triangles graduation invitation. 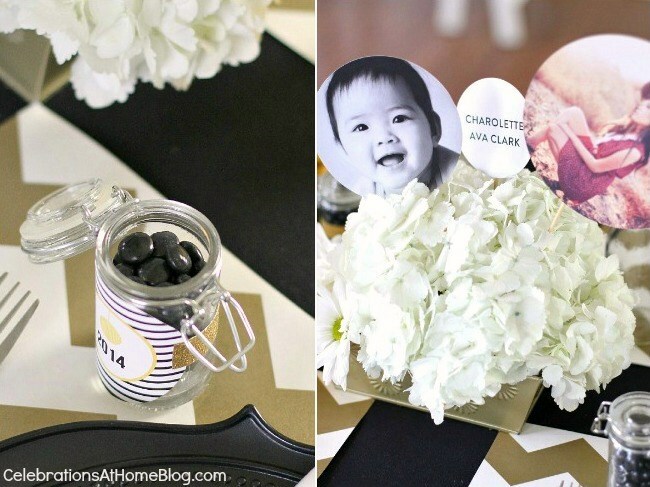 The key design features I incorporated into this modern-classic graduation party were the classic black and gold color scheme, the graphic triangles, and photos & circles that complement the invitations. 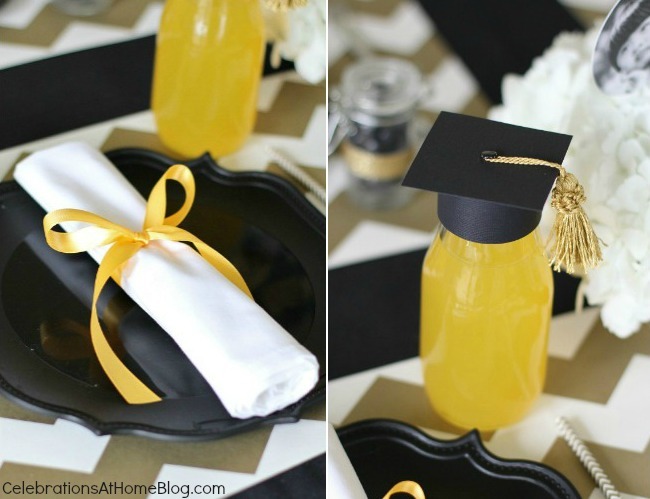 I also added a few whimsical details like “graduation cap” bottle toppers, and “diploma” roll napkins. 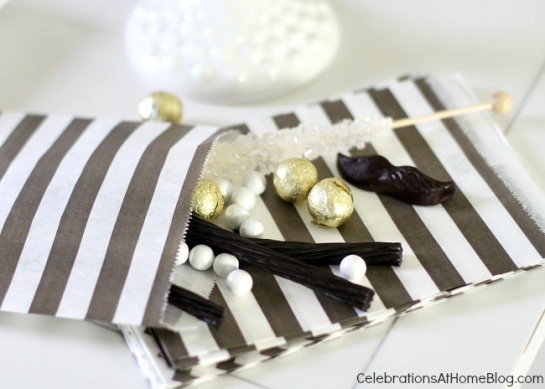 I’ll be sharing some tutorials for some of these projects this week so stayed tuned. For now let me tell you about the overall decor.